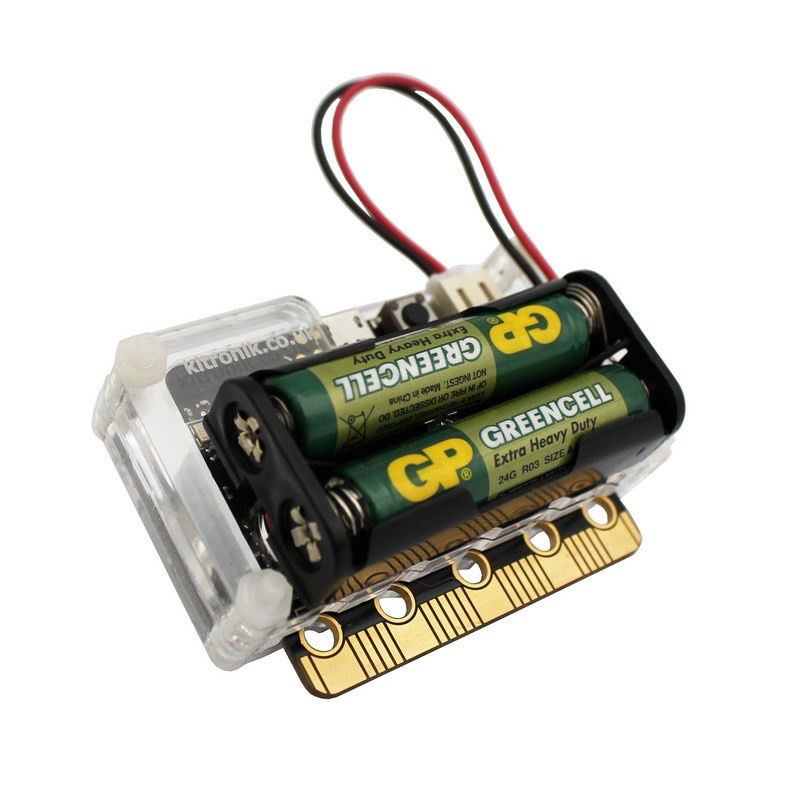 Please Note: BBC micro:bit, 2 x AAA Battery Cage and 2 x AAA Batteries are NOT included. The battery cage supplied with the BBC micro:bit does not fit with this product. Available in a choice of four colours, the MI:pro Protector Case not only keeps a BBC micro:bit in perfect condition but also offers a number of other benefits. 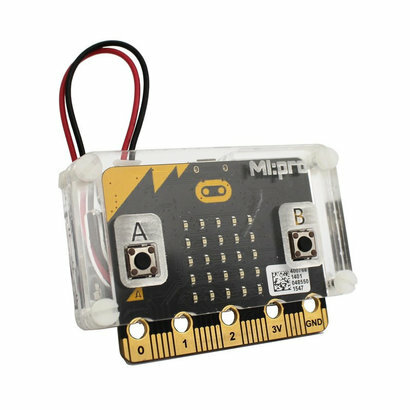 Keep your BBC micro:bit safe and secure with this compact, portable protective case where the 2xAAA battery pack can be bolted to the back, making a compact and portable unit. Please note: The battery cage supplied with the BBC micro:bit does NOT fit with this product. It also can be stood neatly on a desk and provide large easy to read labels for the A and B buttons. This case provides full access to the bottom pins on the BBC micro:bit so the Edge Connector Breakout Board for BBC micro:bit can be used. The MI:pro protector case is available in four different colour options; Clear, Green, Orange and Blue. For each of the options the front and back plates are cut from clear Perspex and the mid layer pieces are cut from Perspex of the selected colour. Provides excellent protection to the BBC micro:bit whilst allowing access to the bottom pins. Full access to the A and B buttons on the BBC micro:bit. 2xAAA Battery Cage screws onto back of case for portability. Full access to pins and connections including the micro USB connector. Clear case shows on-board LEDs for added functionality. 4 x M3 Cheese Head Nylon Machine Screw. 1 x Counter Sunk M3 8mm Screw. 5 x M3 Nylon Full Nut. 1 x Back Mounting Plate. 1 x Mid-layer Screw Hole Plate.